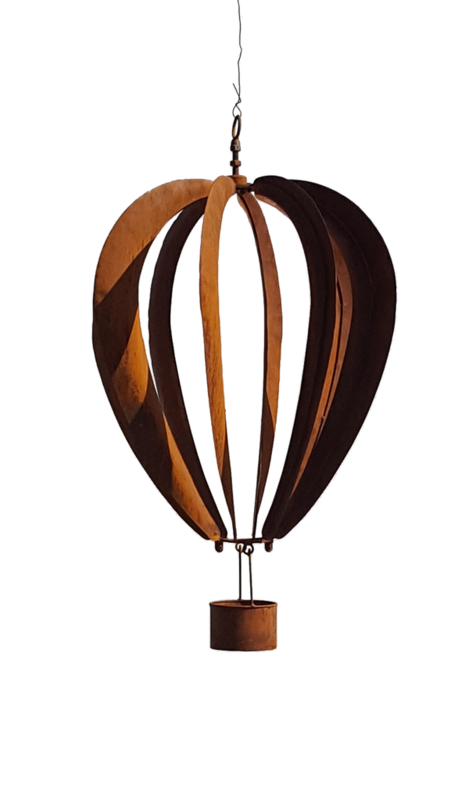 This Hot Air Balloon kinetic wind sculpture is a unique design by Elegant Garden Design. It arrives in its natural brighter steel finish, and will rust over time to the patina shown here. The balloon comes apart into 2 parts for easier shipping. All metal design - hangs from a loop at the top. In total it hangs about 30" in height and is about 18" wide.